When you’re hurt in a car accident, you’re bound to have questions. Edgar Snyder & Associates understands you want quick answers. We’ve compiled a list of the most commonly asked questions by people hurt in accidents. Can’t find the answer here? Call us toll-free at 1-866-943-3427, 24 hours a day, seven days a week or get online legal help and we’ll give you a free consultation of your case. I was walking and was hit by an uninsured motorist. I don't have PA auto insurance. How am I going to pay my bills? I was hurt when I was a passenger in a car that struck a telephone pole. The driver didn't have any insurance, and neither do I. Is there any way I can collect for my injuries? I was involved in an accident that wasn't my fault. An adjuster from the insurance company asked me to give a recorded statement. What should I do? I was driving cross country and was involved in an accident in Arizona. Will my Pennsylvania auto insurance cover me? When can an insurance company rightfully deny a claim? I was seriously hurt in a rollover accident while riding in a friend's vehicle. How can I recover for my injuries? I was involved in an accident and suffered severe injuries. I don't understand how this happened. Is it possible that the seat belt was defective? My daughter was served alcohol at her friend's high school graduation party. On the way home, she wrecked her car and was seriously injured. Are the other parents responsible? I was at a bar and drank way too much. I clearly had too much to drink, but got behind the wheel. On the way home I hit a telephone pole. Do I have any rights? Why do I have to prove negligence to have a case? How much is my legal claim worth? Will I have to go to court to resolve my legal claim? How long do I have to file a legal claim? I was walking down the street and was hit by an uninsured motorist. I don't have any auto insurance because I don't even own a car. How am I going to pay my bills? If you live in Pennsylvania you may be eligible to make a claim under the "Assigned Claims Plan." If you meet all of the criteria, you could recover up to $15,000 which could include $5,000 in medical benefits and up to $10,000 in additional damages. The rules are complex, so you should talk to a lawyer as soon as possible to find out what benefits you may be eligible to recover. This is another situation where the Pennsylvania Assigned Claims Plan may apply. If you live in Pennsylvania, don't own a car, and meet a few other criteria, you could recover up to $15,000 which could include $5,000 in medical benefits and up to $10,000 in additional damages. You should talk to a lawyer as soon as possible to find out if you're eligible. I was involved in an accident that wasn't my fault. A few days later, an adjuster from the insurance company of the driver who caused the accident called and asked me to give a recorded statement. What should I do? You should not talk to the other insurance company and you should not give a recorded statement. Recorded statements could be used against you in the future. You need legal help, and you should call a lawyer immediately. Learn more about what to do and not to do after an auto accident. I'm a Pennsylvania resident. I was driving cross country and was involved in an accident in Arizona. Will my insurance cover me? How do I proceed against the other driver? Broadly speaking, insurance follows the driver. Because of this, your insurance would cover you even though you were driving in another state. As far as proceeding against the other driver, the laws of the state of Arizona will control any lawsuit you may institute because that is where the accident happened. You should talk to a lawyer immediately. When an insured person has not lived up to the insurance contract or when the claim is not covered by the policy or when it is fraudulent, the insurance company can rightfully deny the claim. An insurance company can also deny a claim where its insured is not responsible for the occurrence of an accident. If you believe you have an insurance claim, however, it is in your best interest to talk to a lawyer immediately. Do you have a case? I was seriously hurt in a rollover accident while riding in a friend's sport utility vehicle. My friend was driving carefully when the SUV rolled over. How can I recover for my injuries? SUVs sometimes roll over even when the driver is driving carefully. That’s because SUV's have elevated heights and narrow widths, that tend to make them top heavy and more likely to tip. From what you describe, you may have a products liability case against the manufacturer of the SUV. You should contact a lawyer immediately. While I was driving my car, I was involved in an accident and suffered severe abdominal injuries. I don't understand how this happened because I was wearing my lap/shoulder belt. Is it possible that the safety belt was defective? Yes. What you describe sounds like a defective "window shade." A "window shade" is a device that is installed on the shoulder portion of the front lap/shoulder belt. It is a tension-relieving device that allows slack to be introduced into the shoulder belt so that the belt doesn't interfere with an occupant's movement. When activated, some of these devices fail to retract the belt after the occupant has leaned forward. This causes slack to be permanently introduced into the system. As a result, the occupant's body will jackknife in the event of a collision. This can result in severe abdominal injuries. You may have a products liability action against the manufacturer of the safety belt. This type of case needs to be reviewed by a lawyer. My 17-year-old daughter went to her friend's high-school graduation party. The party was hosted by the parents of the girl who was graduating. They served my daughter liquor. On the way home from the party, my daughter wrecked her car into a tree and was seriously injured. Are the parents responsible for my daughter's injuries? If you live in Pennsylvania, you most likely have a "social host liability" claim against the parents. In Pennsylvania, an adult who serves alcohol to a person under 21 may be liable to pay money damages if an underage person gets injured or causes injury to someone else because the adult furnished liquor to the minor. If your daughter was involved in the accident because she was intoxicated, you most likely have a case. You should call a lawyer immediately. I was at a bar celebrating my birthday and drank way too much. I could barely walk, let alone drive. Because I wasn't thinking clearly, I got behind the wheel. On the way home from the bar, I crossed the center line and ended up hitting a telephone pole on the other side of the road. I was seriously injured. Do I have any rights? You may have a "dram shop action" against the bar where you were drinking. Pennsylvania's Dram Shop Act is a statute that imposes liability on drinking establishments, like bars and restaurants, for any injury that results from serving alcohol to a visibly intoxicated person. If you were visibly intoxicated and the bartender continued to serve you, the bar may be liable for your injuries. These cases are difficult to prove, and an investigation needs to get underway immediately. You need to call a lawyer as soon as possible. Negligence is basically carelessness. In order to prove negligence, the law requires that you must show that the person who caused your injury owed a duty under the law to be careful under the circumstances; that the person breached his or her duty; that the persons breach of the duty caused your injuries; and that you indeed suffered injuries because of the breach. Each case is different and dependent on its own facts. It is impossible to answer such a question until you have finished medical treatment or until your case has been reviewed. But we can tell you about some of the successful results we secured for our clients. How long will it take to settle my legal claim? Each case is different and it depends on the facts. It’s difficult to even guess without knowing all of the facts of the case, including the injuries and the parties involved. Generally, the more complicated the case, the longer it takes to settle. Also, in accident cases, the settlement process can't even begin until your medical treatment is finished. The cost of the medical treatment will figure into your settlement. Each case is different and it depends on the facts. It is difficult to guess whether the case will wind up in court until all the facts are known. Edgar Snyder & Associates offers a free legal consultation to discuss the facts of the case and inform you of your options. The Statute of Limitations can vary by the type of legal claim you want to file. The time you have to file a claim also varies from state to state. It is always best to get the advice of an attorney as soon as possible, so that you don't wait too long to file your claim. Want more information about what to do if ever in an accident? 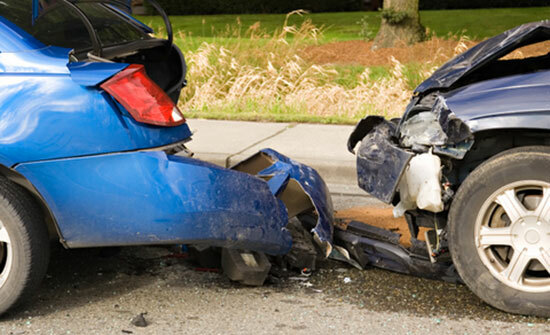 Check out our auto accident Do’s and Don’ts.